are a legal requirement for passenger and goods lifts, we offer these inspections in addition to your your regular maintenance. Being a responsible lift owner or building manager you have a duty to ensure that your lift is safe to use. With this in mind it is crucial that lift maintenance services are carried out on a regular basis in-line with the manufacturers recommendations. We provide the highest customer service levels, offering lift maintenance along with a highly efficient call out and lift repair service. We are available 24 hours a day, 365 days a year with very competitive pricing. PUWER (Provision and Use of Work Equipment Regulations 1998) places responsibilities on businesses and organisations to keep equipment such as lifts maintained and to be kept in safe working order. A lift service contract from R J Lifts will ensure this and our experienced team will keep your lift running smoothly. In the unfortunate event that you do experience a lift breakdown you can trust in our quick response to repair your lift. As well as correct maintenance it is also mandatory that lifts have thorough examinations carried out by a competent person. See our Thorough Examinations page or simple guide for lift owners page for more information. 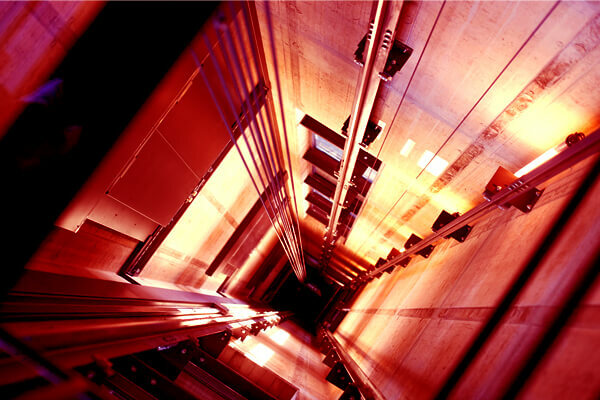 Our lift maintenance service will ensure the good working order of your lifts. Please see our legislation and regulations page for further details. For LOLER inspections – thorough examinations R J Lift Services Ltd work with independent testing companies who are fully accredited by UKAS for testing, inspection and certification. With a fully accessible nominated user portal our clients can view their own current LOLER status and download or print LOLER reports. As an additional asset management service to our clients and to comply with regulations we view all certificates daily. We then immediately notify our clients of issues raised and the recommended course of action. Our professionalism in carrying out our lift services is what makes us not only one of the best lift maintenance companies but also one of the most cost effective UK wide including London, Manchester, Edinburgh and Belfast. As a lift company, our mission is simple. We strive to deliver the highest quality lift services in the industry. Plus, our expert lift engineers and professionals are available to you 24/7 365 days a year. For a free lift maintenance quote or site visit please call us on 0800 999 1177. See how we can reduce your costs with our professional Lift Servicing. R J Lift Services Ltd will improve your lifts reliability, decrease the level of defects and at the same time reduce your spending. We have highly trained lift maintenance engineers carrying out lift maintenance nationally in accordance with manufactures’ guidelines. We are members of LEIA and also follow BS EN 13015 and SFG20 as a general standard for lift maintenance. We support this with a responsive lift repair service and the supply of manufacture approved replacement parts. All our lift engineers carry advanced multi-platform diagnostic tools and carefully selected stock within their vehicles. This dramatically increases the first time fix rate which reduces return visits and therefore costs. As part of our dedication to customer satisfaction, we will tailor our lift maintenance and service agreements to your individual needs. This allows us to offer you the most cost-effective option to suit you. We also provide nationwide lift maintenance contracts, if you would like more information on this please email for further details. A good lift company can make all the difference, with correct preventative lift maintenance your lift will run smoother, safer and more reliably. To find out more about the lift service contracts we offer please get in touch. on 0800 999 1177 and we will be more than happy to discuss your options with you.